We are expected to see major release from Nokia come 2017 with the most anticipated Nokia DIC midrange smartphone rumored earlier. 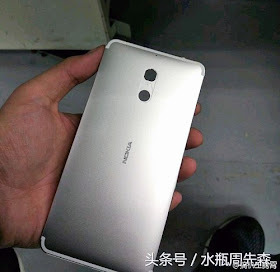 Aside of Nokia DIC, the company is rumored to be working on a special smartphone for its fans in China. According to an insider in China, the mysterious smartphone is not a flagship device but has an impressive configuration and its said to come preloaded with Android 7.0 Nougat OS. It will be powered by SD 6XX series chipset. However, it is unclear whether it will feature Snapdragon 625/626 SoC or the more powerful Snapdragon 652/653 chipset from Qualcomm. The SoC will be coupled with 4 GB of RAM along with a native storage of 64 GB. The phone is said to feature a non-round design, and entirely made up of metal (antenna injection is expected at the top and bottom, similar to iPhone 7). Nokia is coming with full force to take on rivals, drive them into hiding and regain her lost glory by the end of January or early February 2017. Expect the price to be pocket friendly.